This is the list of the Top Arizona Dispensary Flowers that were bought as part of an Errl Cup Event. We have complied a list of the Top Dispensary for Flower that we had secret shopped for the 2017 Errl Cup. Our events focus on providing the best possible information, testing and results for Medical Marijuana medicine in Arizona. Held twice a year in Arizona, the Errl Cup and the 710 Degree Cup provided patients with valuable information. One of the process we use to insure the quality of medication that patients are getting is our Secret Shopping Process. Combined with testing from our Approved Lab and judging done by MMJ patients and industry leaders. We come up with the winners and losers. Here we have complied the list of the 35 Dispensaries that we secret shopped for Flower for our January 2017 Event. You can see all the Errl Cup Results for every event we have done with the testing reports provided for your review. For our January event we went out and purchased from 34 different Dispensaries in Arizona, there best Medical Marijuana Strain they offer. When we enter the dispensary we would only know if we need a Indica, Sativa or Hybrid. We would ask the budtender for their best strain they have. Making it a budtenders choice. Which it should be, if they dont know the best medication they have to offer. Who would? We have been using this same process since January 2016 Errl Cup. This year for the 2017 Errl Cup we secret shopped all Maricopa Dispensary that grow their own medication. We also, went to Tucson and secret shopped all dispensaries in Tucson that grow there own medication. Dispensary Top Flower list for secret shopped dispensaries used the combined testing and judges score to come up with this list. These are the 34 different Arizona Dispensary we went and secret shopped for the 2017 Errl Cup. They are shown with there ranking level for Secret Shopped Flower and Overall Ranking for all flower entered into the 2017 Errl Cup. There were 187 entries for flower for our Best Flower Indica, Sativa, and Hybrid. Well there you have it. 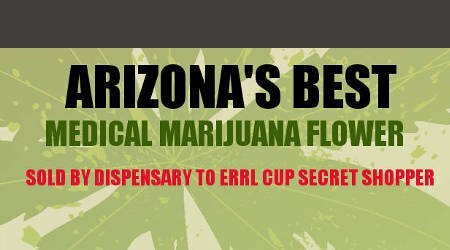 The list of secret shopped flower in for Arizona Dispensary. 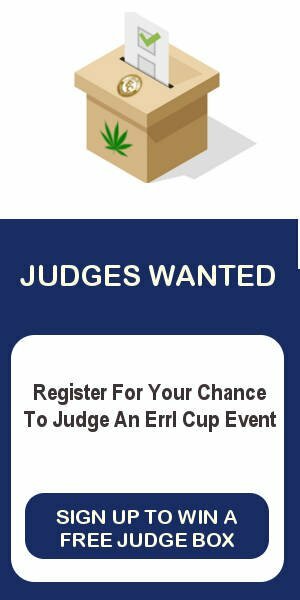 This is complied from all the entries and secret shopping entries for Errl Cup 2017. As you will see every dispensary is different. This should give you a better understanding of what medication that each dispensary are offering there patients. Not the medicine that they enter to win the Cup, but the ones that matter the medication that you the Patient purchases every day. Hope this helps you make a better choice and understanding how what dispensaries offer there patients.